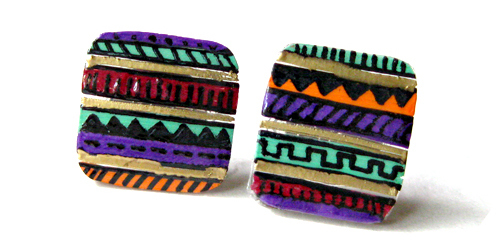 So, this is what my “aztec-obsession” has led me to. 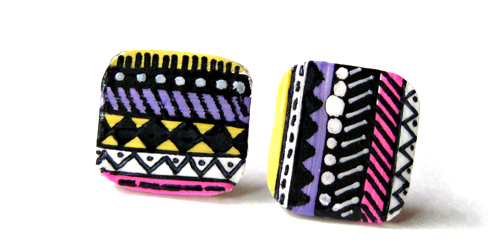 It suddenly hit me and I started hand-drawing these aztec-inspired earstuds, one square by one square. Okay, so it’s not a perfect square but I guess the whole imbalance adds to the natural aztec charm. I hope to keep each design exclusive so no two pairs will ever be the same, and you’ll know your pair will always be yours only! These will be in store soon, and will be priced at $8 and below depending on the size. ← bag it : one bag, two looks.